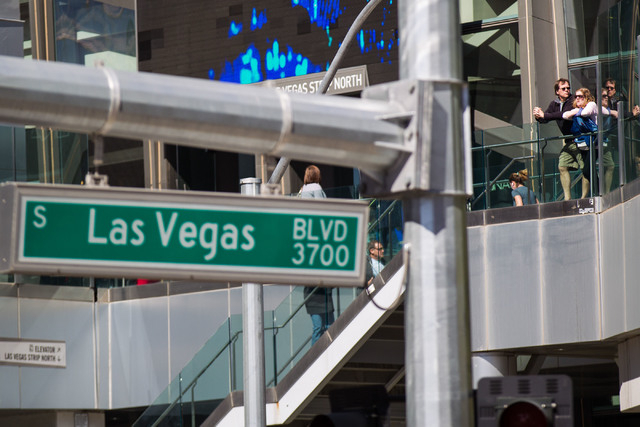 A state Transportation Board member Monday suggested that a proposed elevated expressway to move visitors between McCarran International Airport and the Las Vegas Strip and its convention facilities is not the best use of scarce transportation dollars. CARSON CITY — A state Transportation Board member Monday suggested that a proposed elevated expressway to move visitors between McCarran International Airport and the Las Vegas Strip and its convention facilities is not the best use of scarce transportation dollars. Tom Skancke, a public representative on the state board from Las Vegas, said Nevada has lost convention business to other cities because there is no transit linking the airport to its convention facilities. The Transportation Board was briefed on the Transportation Investment Business Plan at its monthly meeting. It was prepared by the Southern Nevada Regional Transportation Commission as a look at transportation needs over the next several decades. The proposed elevated expressway project, which would move traffic north from the airport along Paradise Road and south on Koval Lane and Tropicana Avenue, would cost an estimated $200 million. The state Department of Transportation would likely be a financial partner in any such road project. Also in the plan is an at-grade light rail project that would run from the airport to the Strip to downtown Las Vegas. Its cost is estimated about $600 million. Skancke said the city of Phoenix was able to attract at least one convention with 50,000 delegates in part because of the airport transit option for visitors that was a requirement for the event. There have also been complaints from Las Vegas convention visitors who have had to wait hours for a taxi, he said. Tina Quigley, general manager of the RTC, said the plan will go to the RTC board for review and possible adoption on Thursday. The plan is a 2,400-page collaborative document with 65 recommendations grouped in seven “suites” of projects. The proposed expressways would be on bridge structures elevated over the existing street rights of way. One portion of the Koval route couldn’t be elevated — the section along Tropicana Avenue abutting airport land near the ends of Runways 19L and 19R. Near the runways, the road would be lowered to grade level but kept separate from Tropicana traffic. Quigley said that since the elevated roadway idea was unveiled, there has been a lot of discussion in Southern Nevada as to whether it is the best infrastructure option. Gov. Brian Sandoval, chairman of the Transportation Board, said the plan is a welcome look at what will be needed to accommodate growth and economic development in Southern Nevada in the coming years. But he also noted that the state Department of Transportation must be a part of the conversation from the beginning.